By Steven R Hurst for The Associated Press President Barack Obama scored two key foreign policy victories this week _ a new round of U.N. sanctions on Iran even as he kept Israeli-Palestinian talks on life support after the Israeli attack on Turkish ship carrying aid to Gaza. The unintended costs may be heavy. Both issues threaten key alliances with Muslim Turkey. And both test the ability of the U.S. and Israeli to cope with Ankara’s move out of the Western and NATO orbit toward largely Islamic regions of the Middle East and Central Asia. That matters because the United States is losing sway with its longtime NATO anchor, a democracy that bridges Europe to Asia and the Middle East. Israel too is struggling to avoid Turkey’s threatened estrangement _ a break that would cost the Jewish state its only Muslim military ally. Turkey was one of the first countries to recognize Israel after its establishment more than six decades ago. The widening fissures in both alliances likely carry heavier psychological than strategic implications for the time being, particularly for Israel. Here’s why. Turkish Prime Minister Recep Tayyip Erdogan “suddenly is the most popular politician in the Arab world and he doesn’t speak a word of Arabic,” asserts Henri Barkey of the Carnegie Endowment for International Peace. Erdogan’s popularity grew exponentially after the Israeli commando raid on a Turkish-sanction flotilla of aid ships bound for Gaza. Muslims across the Middle East are holding him up as a hero for his tough talk against the Jewish state in their midst. That’s a stunning reversal. Turks, who migrated into modern day Turkey from Central Asia centuries ago, had always been seen in the Arab world as heirs to the Ottoman empire that had oppressed Arabs for 400 years. Erdogan received a thunderous reception from fellow Muslim leaders Thursday at the Turkish-Arab Economic Forum that opened with calls for an international investigation of the May 31 Israeli raid that killed eight Turkish activists and a Turkish-American teenager. Erdogan’s Islamic-rooted Justice and Development Party came to power in 2002 in a landslide victory, a clear shift away from Turkey’s secular traditions that were established in the modern state, the post World War I and shrunken remnant of the Ottoman Empire. The political shift was a clear precursor of Turkey’s move toward a more comfortable and powerful place in the Muslim world, despite continued efforts for membership in the European Union. Erdogan has since taken to championing the Palestinians’ cause, often more loudly than their fellow Arabs. That had badly strained Israeli-Turkish relations even before the crisis that blew up around the Gaza aid flotilla. Then there was Turkey’s insertion of itself into the effort to move Iran away from uranium enrichment and its alleged program to build a nuclear weapon. After Iran rejected a deal to swap nuclear fuel last fall, the United States was determined to impose a fourth round of U.N. sanctions on Tehran. Washington had the backing of fellow U.N. Security Council members France and Britain all along and was on the verge of announcing that Russia and China also were on board. Turkey, with help from Brazil, suddenly announced that it had revived the swap deal and that Iran had agreed. That agreement, more than a half year after initially rejected by Iran, was deeply flawed. And the next day the United States said a new sanctions package had unanimous support from all five permanent Security Council members. It thanked Turkey for its efforts but said the train had already left the station. When the council voted earlier this week, only Turkey and Brazil cast no votes. Those did little but register protest since neither country holds a veto. In spite of its rhetoric and obstructionism, Turkey does not appear ready any time soon the break fully from the West. 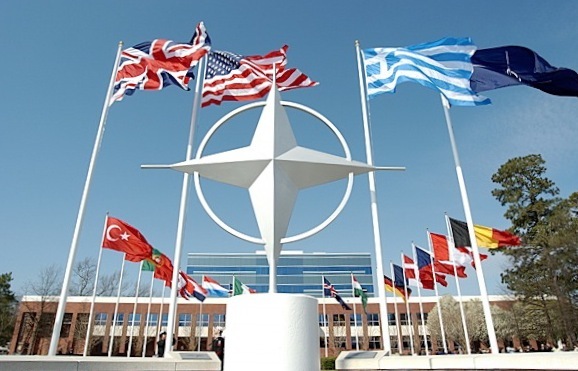 It has vast interests intricately woven into NATO and the European Union. Turkey has a customs union agreement with its top trading partner, Europe, and wants to become part of the EU. But there is no doubt that the tone in Turkey’s foreign policy is changing. Although the United States has been its chief ally since the Cold War, Turkey opposed the U.S. invasion of Iraq through Turkish soil, triggering tensions with Washington. Until the late 1990s, Turkish relations with Iran were tense, with its secular, westernized government accusing Tehran of trying to export its radical Islamic regime to this predominantly Muslim but secular country. Today, Turkey wants to build deeper trade ties with Iran. At this week’s first U.S.-India Strategic Dialogue in Washington, D.C., talks between the two countries will cover the spectrum of bilateral and multilateral issues, from trade and economic cooperation to terrorism and regional security. 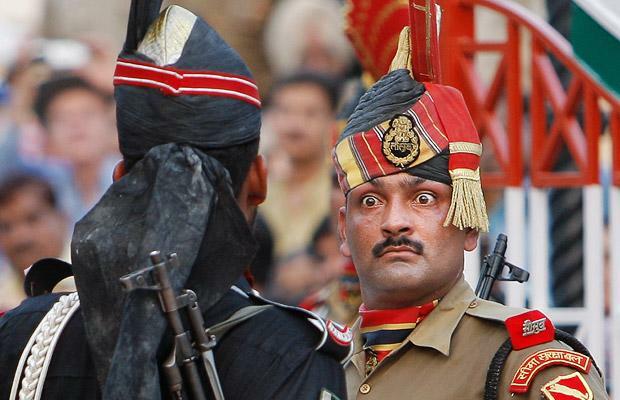 American participants may even feel the need to bring up India’s strained relationship with Pakistan. But it would serve them well to first consider a Times of India story from earlier this year, which went almost unreported in the United States. According to an interview in the Indian newspaper with former Pakistani foreign minister Khurshid Mahmud Kasuri, India and Pakistan in 2007 were days away from reaching a comprehensive accord on their territorial dispute over Kashmir, the axis of the countries’ six-decade-long rivalry and casus belli of three wars between the two nations. Kasuri, Pakistani leader General Pervez Musharraf’s chief diplomat from 2002 to 2007, said in April that the secret deal had been in progress for more than three years and would have led to a full demilitarization of both Indian- and Pakistani-occupied areas of Kashmir and would have awarded the region a package of loose sovereignty at a point “between complete independence and autonomy.” Not only were Indian and Pakistani leaders on board (including, most importantly, the Pakistani military), so was every Kashmiri leader except for one hard-line separatist, Syed Ali Shah Gilani. The accord was slated to be signed during Indian Prime Minister Manmohan Singh’s scheduled visit to Islamabad in February and March of 2007, but before the trip ever occurred, a country-wide lawyers’ protest in Pakistan had turned into a broader opposition campaign against General Musharraf. The rest of the year would be one of the most tumultuous in Pakistan’s history, marked by the siege of the Red Mosque in July, the return of former Prime Minister Benazir Bhutto in October and her subsequent assassination in December, and the return of popular leader Nawaz Sharif from exile in September. By August of the following year, public opposition had peaked, and Musharraf was forced to resign his post as president, ending his decade-long tenure as leader of Pakistan. After Musharraf’s ouster, it appears that the deal had lost much of its momentum. Then in November, the accord suffered another setback as ten Lashkar-e-Taiba terrorists took India’s largest city, Mumbai, hostage for almost 72 hours, killing more than 160 people and injuring scores more. The attack was quickly coined “India’s 9/11,” and the evidence pointed directly to Pakistan, where the gunmen had been trained and equipped. In protest, India cut off all diplomatic talks with Pakistan almost immediately; there were even rumors that the country was preparing military action against its northern neighbor. Within a span of less than two years, the India-Pakistan relationship had traveled the spectrum from apparent rapprochement and compromise to mutual suspicion and renewed hostility. Since then, the signs have only appeared to worsen: for example, in 2009, when Indian Army chief General Deepak Kapoor publicly introduced revisions to his country’s “cold start” military strategy. This military modernization and training program, which was developed in response to the army’s sluggish mobilization to the Pakistani border following the December 2001 terrorist attacks on the Indian parliament, remained mostly under the radar for most of the early 2000s, relegated to defense journals and the occasional news article. It was only following the 2008 attacks that “cold start” began to receive renewed attention from the media on both sides of the border and was more publicly discussed by Indian military officials like General Kapoor. Indeed, it appeared as if the next breakthrough in Indo-Pak relations would occur through hard rather than soft power. Concomitantly, India and Pakistan’s post-Mumbai attempts to return to diplomatic talks also appeared fraught with danger and seemed to only fuel more discord rather than reconciliation. In February this year, Indian Foreign Secretary Nirupama Rao and her Pakistani counterpart Salman Bashir resumed high-level talks for the first time since November 2008, but both sides appeared unprepared (they could not even agree on the specific subject of the talks prior to sitting down) and spent more time bickering through separate press conferences. It’s hard to see how any progress could be made on improving Indo-Pakistani relations in the midst of this hostility. But does Kasuri’s revelation provide hope that a resolution on Kashmir could be revived? First, excepting Musharraf and Kasuri, many of the supporters of the failed 2007 accord—including Pakistani Army Chief of Staff Ashfaq Kayani, Pakistan’s current track II special negotiator Riaz Mohammed Khan, and, on the Indian side, Prime Minister Singh—still hold high-level positions in their respective governments. And second, the secrecy of the original deal shows that outward indifference, or even enmity, between the two countries can belie an internal desire for change. In a relationship where hostility is status quo and where amicable relations seem aberrant if not bizarre, a furtive accord lets ruling elites make slow, institutional changes in the relationship while preserving outward form and precedent. It also allows deal-makers to keep tempestuous domestic politicians and party leaders at arms length while deliberating sensitive issues. So what can we expect in the months ahead? Indian officials will undoubtedly continue to pressure Pakistan to confront Lashkar-e-Taiba and other terrorist groups that plan to attack India, and another attack could indeed result in Indian military action. There will also be more bickering between the sides—on water rights, “most-favored-nation” clauses, and even cricket. Yet the revelation of the secret deal should be both a lesson and a sign of hope. It is a lesson because it proves that progress on an entrenched conflict like Kashmir can occur without the United States’ public mediation. American officials at the U.S.-India Strategic Dialogue this week should keep in mind that the accord was pursued during the final years of the Bush administration, in which the United States made it a point to separate the U.S.-India relationship from the more sensitive Indo-Pak relationship. It is a sign of hope because, despite the outward appearance of discord between the countries, internally, leaders on both sides have—at least at some point in recent memory—wanted to move forward on a resolution. As Pakistan continues its domestic offensive against terrorists and India pursues closer economic engagement with its northern neighbor, wanting change may be the best sign that change is on the way.